CBR: Have you started recording yet? Eckstein: We’re currently recording. That’s all I can say! [laughs] So it’s coming to the Disney streaming service. And that’s about it. Now, what does that mean? Will the cast only record some new bits and pieces? Or is the 7th season all new material after all, using no or only very little pre-recorded dialogue? About two extra seasons worth of dialogue was recorded for the show before it was canceled. But if season 7 is mostly or all new material then this dialogue will still be in a vault somewhere, waiting to see the light of day. Only recently voice actor Daniel Logan said that he recorded several episodes focusing on Boba Fett. 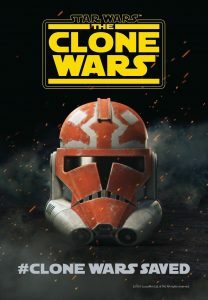 Let’s all hope The Clone Wars will be a huge success, so that Lucasfilm feels it’s worth the money to finish all the episodes that have recorded dialogue. And of course, season 7 of TCW can’t come soon enough! ← Toys R Us Online Canada Has 6" Stormtrooper (Mimban) IN STOCK! Star Wars: The Clone Wars was released in theaters ten years ago today. To celebrate the film’s milestone anniversary, we are reposting our review of the film which was originally written in 2016. Click the banner below to read the review and don’t forget to share your thoughts in our comments section. After a decade, what does the film mean to you? Stayed tuned for more thoughts on the tenth anniversary of Star Wars: The Clone Wars! 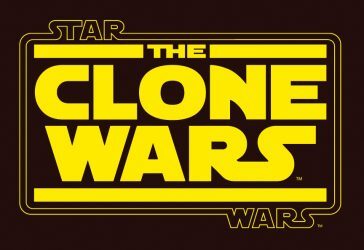 Star Wars: The Clone Wars is coming back! Click through to watch the announcement trailer! 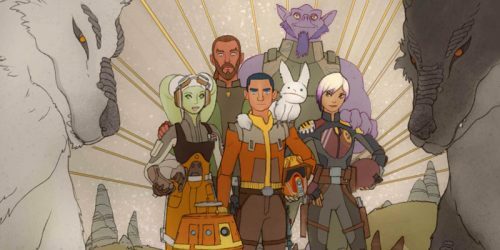 Update: Check out the official article on Starwars.com which features an interview with Dave Filoni! We will get 12 all new episodes of The Clone Wars! ← Grab Vizam And Nysad While You Can: Those Cannons Are Disappearing! Here’s another early look at an upcoming The Black Series [Phase III] exclusive! This time, we are adding the shared exclusive Clone Commander Wolffe 6-Inch figure to our Visual Guides. Click below for the full Visual Guide page, and click here to have a look at our detailed review. ← Is There An Unavoidable Reason Barge Numbers Are Dropping? James Arnold Taylor, who voiced Obi-Wan in The Clone Wars tv show, has revealed in an interview that almost full 8 seasons for Star Wars: The Clone Wars had already been recorded before Disney canceled the show. Do you think Disney might at one point release the recorded dialogue? Maybe as some kind of radio play with added sound effects? Animating the remaining episodes seems to be out of the question. But chances are we’ll never get to hear or see the additional material, which is regrettable. I have good news and bad news. The good news is that we have another Star Wars: The Clone Wars review for you. The bad news is that the episode heavily features Jar Jar Binks, and he isn’t even voiced by Amed Best. Click the banner below to read the full review! ← Rogue One Bistan/Shoretrooper Two-Pack Quick Pic! JTA’s look back at Star Wars: The Clone Wars continues with our review of “Dooku Captured.” This episode is notable for introducing the world to Hondo Ohnaka. Click the banner below to read the full review! We’re back! After an extended hiatus, JTA’s look back at Star Wars: The Clone Wars is resuming. We’ll be reviewing every episode of the series in chronological order and we’re picking up right where we left off with the season one episode “Lair of Grievous.” Click the banner below to read the full review!